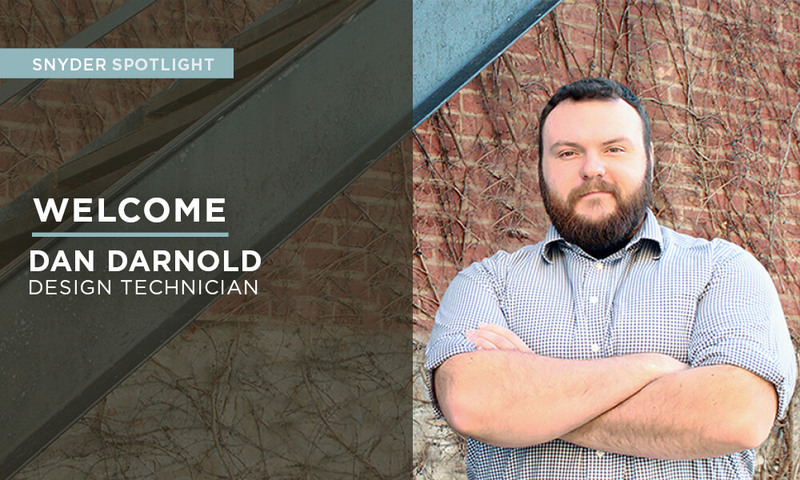 Snyder & Associates newest office in Iowa City is pleased to welcome Design Technician Dan Darnold to the firm. Dan is the latest addition to the growing team following Structural Engineer Chris Criswell, PE and Landscape Architect Nick Streng, PLA. 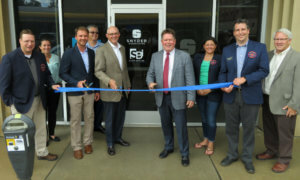 “Dan’s combination of design and construction experience enables him to see a project from multiple perspectives; thereby anticipating potential impediments that could impact the design approach, cost, and/or constructability,” states Troy Culver, PE, Business Unit Leader for Snyder & Associates Iowa City. Dan grew up near Council Bluffs in the small town of Underwood, Iowa. After high school, he went on to attend Iowa Western Community College where he earned an Associate Degree in Design Technology. 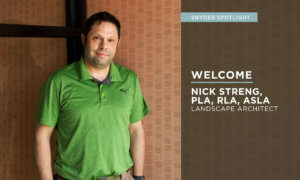 A fellow classmate and Snyder & Associates intern referred him to the firm. At the time, Dan was eager to relocate, so he seized an opportunity to work at the Ankeny office. Following the birth of his daughter Adelynne two years later, Dan and his wife Ashley moved to Wilton, Iowa, to live closer to family, and Dan transferred to the Cedar Rapids office. He later went on to work at another company located just a mile from his home in Wilton before returning to Snyder & Associates. What kind of cool projects have you worked on? I’d say site development projects, like the Outlets of Des Moines, are probably my favorite because there’s nothing set in stone and there’s always something different and interesting to overcome. What’s surprised you in your career as an Engineering Technician? It’s a field that requires you to constantly learn because everything is changing. Whether it’s the design standards or CADD software that you’re using, you’re always adapting to something new, which is also something I enjoy. You get to grow, learn, and figure out new things to move forward and progress in your career. What else do you enjoy about this career field? It’s never the same thing over and over again, it’s a variety of things. Working on various projects and having different problems to solve each day is probably one of the best parts. Design Technicians are in high demand across the engineering field. What advice would you give to someone who’s just begun his/her career? Be ready to take on challenges and buckle down on computer-aided design. You have to really learn the software and remember that you’re always working towards a goal. The plans you’re creating are for contractors, crews, and people, and you have to always remember that as you work through projects. What you’re working on goes beyond the computer—it’s for building a road, site, or another purpose. And reminding myself of that helps a lot during projects in order to simplify my plans and keep the end goal in mind. Have you traveled anywhere exciting or memorable? During my freshman year of college, we spent a month touring a lot of countries in Europe for choir. Germany is probably my favorite country; I love it there. The culture is great, the food is amazing, and the beer is wonderful. They just know how to live over there. I’m not a big sports guy, but I’d have to say my favorite professional sports team would be the Green Bay Packers; it’s a family thing from a long time ago. That I sing tenor in a choir and am a fan of all genres of music including classical, hip-hop, and rap. I first became involved with choir as a sophomore in high school, and I met my wife Ashley through choir in college. Music is a big hobby for ours; we both like to sing.